1.The stitches are worked in V shape in the first row. 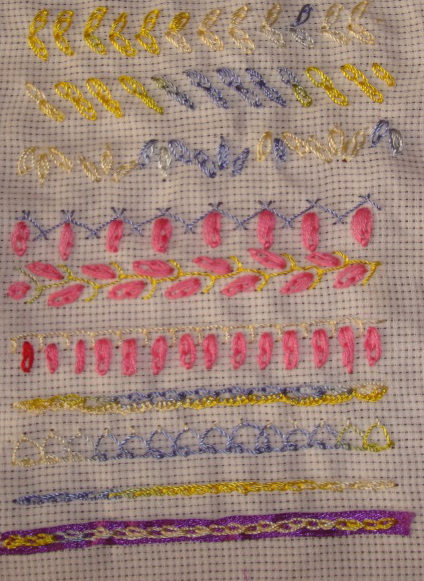 In the second row, this stitch was tried as a filling stitch. 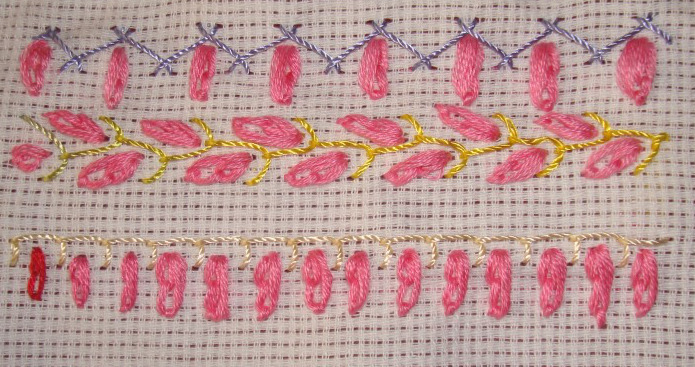 Half flowers are tried in the third line, with berry stitch in the centre. 2.Shell chain stitches are combined with other stitches in these rows- herringbone stitch, feather stitch and buttonhole stitch. 3. 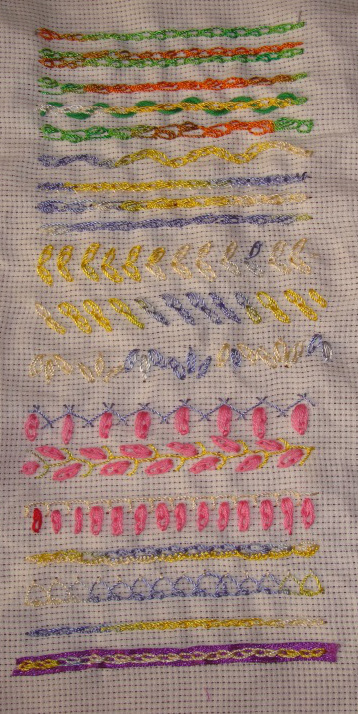 The variation in the first row is taken from Annet’s idea, buttonhole stitches on shell chain stitch. The shell part of the stitch passes through a small straight stitch in the second row. 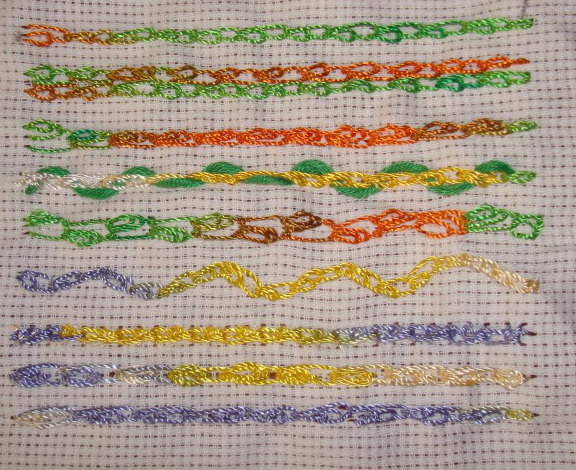 The shell stitches start from the previous chain in the third row. The shell stitches are worked over satin ribbon in the last row.